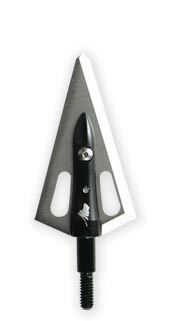 and a Maasai single bevel broadhead. 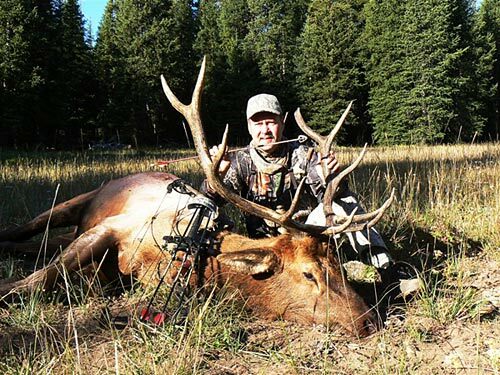 The 125 grain Maasai has proven itself to be effective on all North American big game.. The 125 grain Maasai is for bowhunters who still believe in lighter faster set-ups - but want to take advantage of the increased performance available to them in a razor sharp, cut-on-contact, single bevel broadhead. GrizzlyStik Maasai single bevel broadheads, with their deep, razor sharp single bevels and thick ultra-tuff blades split and blow through bone like only a GrizzlyStik single bevel can. Even with lighter sub-650 grain set-ups you're increasing your adds of blowing through bone when you're shooting our single bevel broadheads. 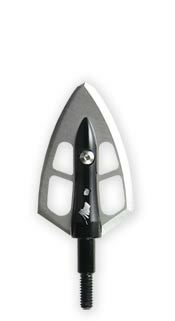 Our 125 grain Maasai single bevel broadheads are suitable for all North American big game and African plains game. 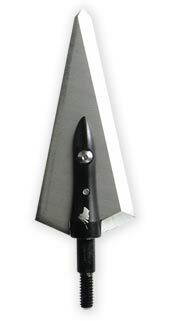 Take advantage of the single bevel edge. 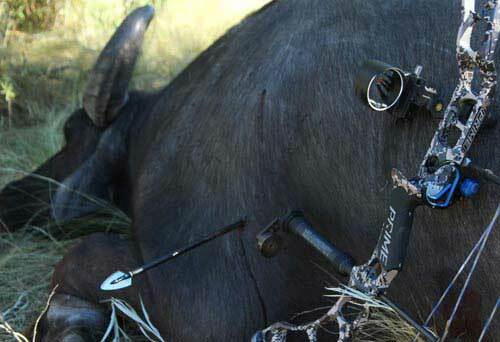 Fill your quiver with Maassai-tipped GrizzlyStiks and hunt hard with confidence in your equipment. 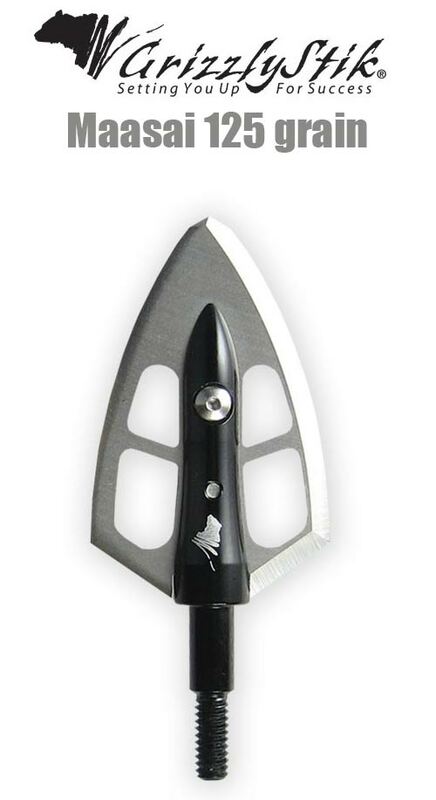 GrizzlyStik Maasai single bevel broadheads were originally based on the proven convex design of the popular Silver Flame broadheads we manufacture. Even though Dr. Ashby's reports favored straight edged, high mechanical advantage broadheads, our testing has shown that this convex shape supports the tip more for much greater tip strength and our bowhunters are reporting just as many pass-throughs as with out straight edged broadheads. Note: Always match right bevel with right helical vanes/feathers. 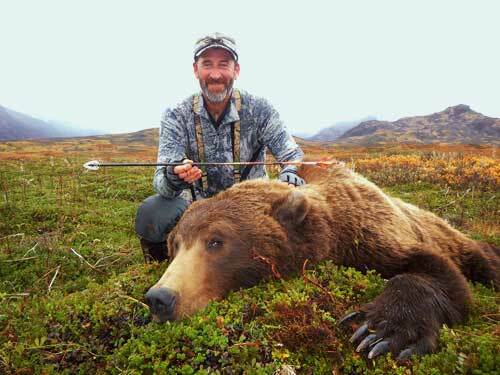 Our good friend Santiago Rossi hunts and guides all over the world. He is concerned with the success of his clients and the ethical harvesting of all big game animals. 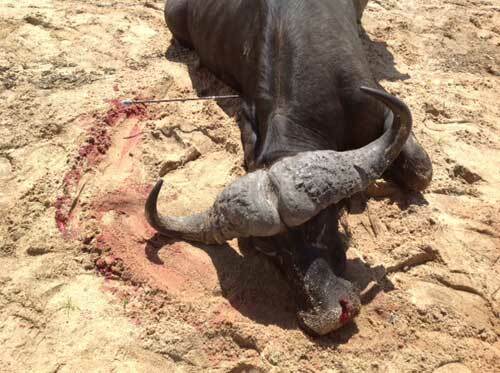 Here is a picture of some testing he was doing post-mortem on a big Argentinean water buffalo. 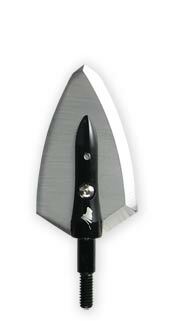 The total arrow weight was 750 grains, and the broadhead was a GrizzlyStik 200 grain Maasai single bevel.